Home » Men's Advance » Why Study Reformation Theology? Conference registration is now open—online and by mail! This quote shows forth the urgency and importance of studying Reformation Theology. 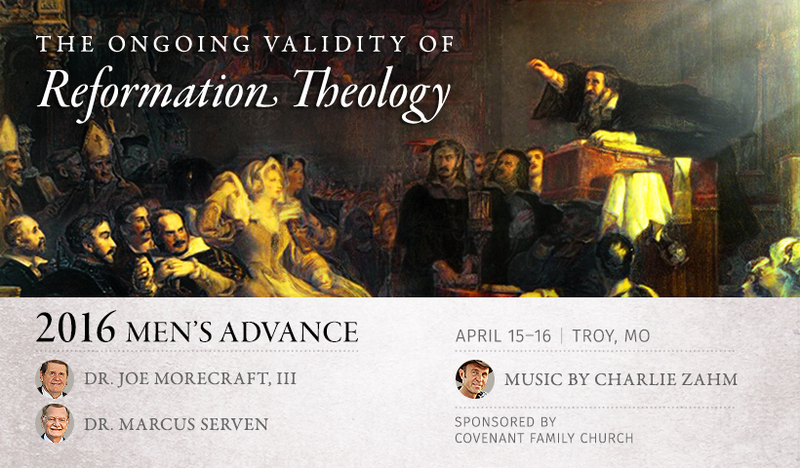 Come join us on April 15-16 for the Men’s Advance, where Dr. Joseph Morecraft and I will lay out a feast of biblical truth to be applied to this life in which we now live. In addition, Charlie Zahm will lead us in some energetic singing throughout the weekend and then conclude with a FREE closing concert on Saturday night for the entire family. I hope you can attend.